Sen. Kirsten Gillibrand (D-N.Y.), according to most political insiders, is pondering a run for the White House in 2020. And it appears one of her chief platform planks will be cannabis. 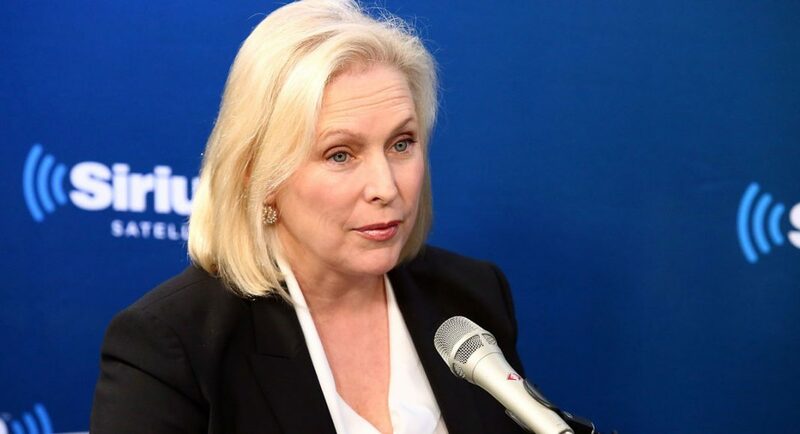 Earlier this week, Gillibrand announced the inclusion of a provision in the omnibus bill that will prohibit the use of federal funds by the Department of Justice to interfere with states’ medical marijuana laws. Even though 29 states and the District of Columbia have made medical marijuana legal, marijuana in any form is still prohibited at the federal level. Parents should be able to give their sick children the medicine they need without having to fear that they will be prosecuted. Veterans should be able to come home from combat and use the medicine they need without having to fear that they will be prosecuted. I will continue to urge my colleagues to pass my bipartisan legislation, the CARERS Act, so that the children and families who desperately need this medicine can finally access it without fear. This is not the first time that Gillibrand has taken a firm stand in favor of marijuana law reform. Last month, the New York Democrat teamed up Sen. Cory Booker (D-N.J.) to fight for legalizing marijuana under federal law. She is now co-sponsoring the Marijuana Justice Act, which Booker introduced last August. The Marijuana Justice Act, if passed, eliminates the Schedule 1 status under the Controlled Substance Act and requires federal courts to expunge the records of Americans who have prior marijuana convictions related to use or possession. Related Story: Groundbreaking Marijuana Bill Gets New Life In D.C.
For Gillibrand, marijuana reform is a social justice imperative. “Legalizing marijuana is a social justice issue and a moral issue that Congress needs to address, and I’m proud to work with Senator Booker on this legislation to help fix decades of injustice caused by our nation’s failed drug policies,” she said.